The Kentucky Derby is cool, but it’s over. 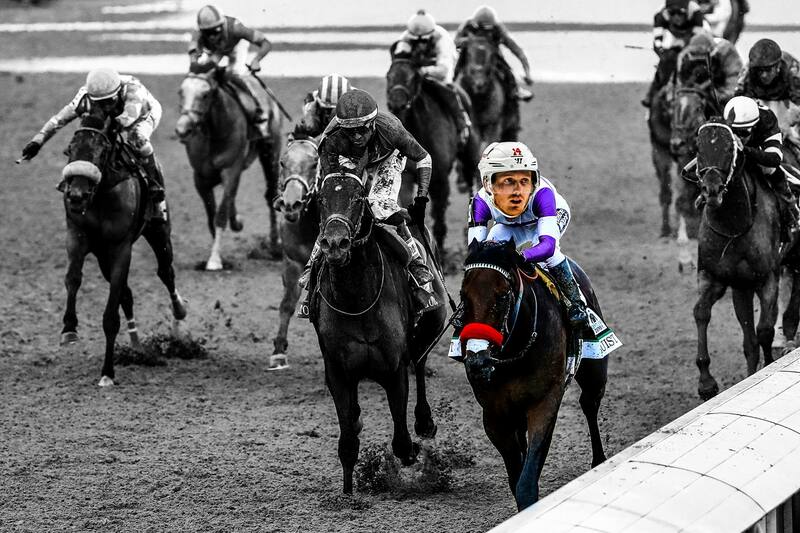 You’re probably wondering what a horse named Nyquist, who remains undefeated and who just won the 142nd Kentucky Derby has to do with hockey, right? 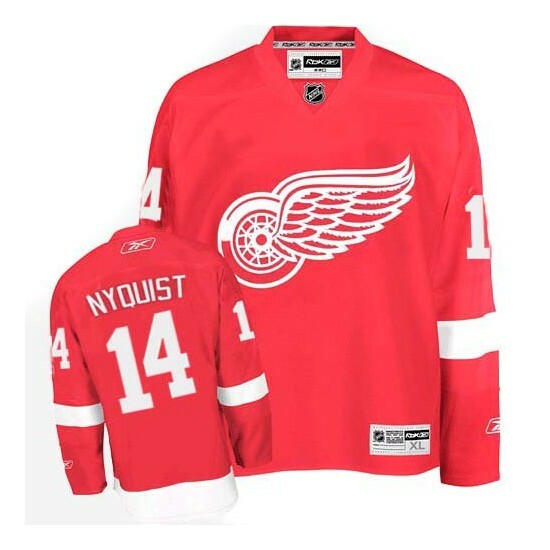 For many hockey lovers, the name Nyquist likely rings a bell, and if you’re thinking it has to do with a player in Detroit, you’re right. Of coarse Red wing fans already knew that. J. Paul Reddam, Nyquist’s owner (who also won the Derby in 2012 with I’ll Have Another), is a huge Detroit Red Wings fan and named this year’s Derby favorite after Red Wings forward Gustav Nyquist. The Detroit Free Press took some time to interview Nyquist (the hockey player, not the horse) about this unique naming scenario, which proved rather entertaining. While Reddam is clearly a superfan of the Red Wings (he grew up with season tickets and calls himself a “couch coach”), Nyquist the Red Wing, isn’t too up-to-date on the Derby. He admits he’s never even heard of a mint julep, the official drink of the Derby. “I’m hoping he runs a good run and wins it,” he told the Detroit Free Press. “He runs fast, I guess. He wins races. That’s a good thing for a horse.” Yes, a man of a few words, at least when it comes to a sport he isn’t too well versed in. 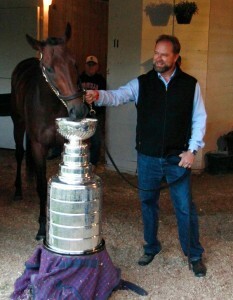 And to keep things fair, the hairier Nyquist got to spend some time with the Stanley Cup on race day. Because humans aren’t the only ones enamored by The Cup. Both Nyquist’s are pretty profitable. The 3-year-old colt has already won $3.3 million. If you can’t own a horse and name it after your favorite NHL player, the next best thing is to a own a jersey. Check out the best deals on our hockey jerseys.